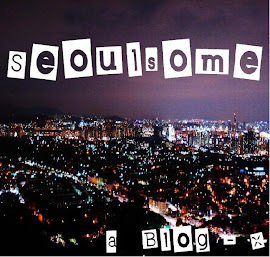 Seoulsome: East Coast: Getting There & Away. Terrible isn't it!! Cars back to back for miles, absolute gridlock! No, in all fairness if you set off early on these holiday days, around 6am or 7am then you'll most likely miss the traffic. If you can't drag yourself out of bed though then prepare yourself and your bladder for standstill traffic. I can speak from experience on this one. We previously tried to visit the east coast on a national holiday. We departed around noon (12pm). After 3 hours in the car we had only travelled about a 6th of the journey. We gave up and headed home. Which took us 28 minutes. Lesson learnt! Don't make the same mistake as us. I had to put that photo on because he told me that was his 'pirate pose'. Thanks to his awesome driving and the fact we have a car we made it to the hotel, just under 3 hours away, before I usually even wake up on a non-work day! If you don't have a car then the easiest way to reach the east coast is by bus. How to get to Sokcho (East Coast) from Seoul. Dong Seoul Bus Terminal (subway line no. 2; Gangbyeon Station) → Sokcho (Duration: 2 hours, 50 minutes – 3 hours, 30 minutes; First bus is at 06:25 and last bus is at 23:00). Seoul Express Bus Terminal (subway line no. 3; Express Bus Terminal Station) → Sokcho (Duration: 4 hours; The first bus is at 06:30 and the last bus is at 23:30). How to get to YangYang and Naksan (East Coast) from Seoul. Seoul Express Bus Terminal (subway line no. 3; exit no. 1) → Yangyang (Duration: 3 hours, 40 minutes; first bus is at 06:30 and the last bus is at 23:30). Dong Seoul Bus Terminal (subway line no. 2; Gangbyeon Station) → Yangyang (Duration: 3 hours, 20 minutes; the first bus is at 06:30 and the last bus is at 18:19). On to Naksan ->In front of Yangyang Cross-Country Bus Terminal → Board intra-city bus no. 9 or 9-1 en route to Naksan → Get off at Naksansa Station and walk two minutes. (about 200-300 meters away). For more information about the east coast and Gangwon-do including more transportation information check out the Korea Tourist Organization website. We chose to stay at a hotel called Maremons. Check out the next post, 'East Coast: Where to stay' for information and photos about the hotel. Whilst at the east coast we visited a number of places. The areas we saw are shown in the map below by the green color. Included in the places we saw was the DMZ observation centre and Naksan Temple. Information and pictures about those two will follow in a separate post, 'East Coast: DMZ & Unification Centre', 'East Coast: Naksan Temple' and 'East Coast: Beaches'.